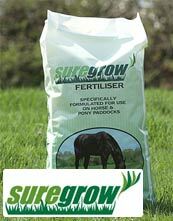 With constant grazing and trampling by livestock and horses, soil can become compacted. This can lead to poor drainage and an increase in weed growth with the net result being less grass and unhealthy soil. Timing should be in Spring or Autumn when the ground is neither too wet nor too dry. Our aerator can be adjusted to run at different depths for best results and weighted up to give efficient work rates despite its modest size. 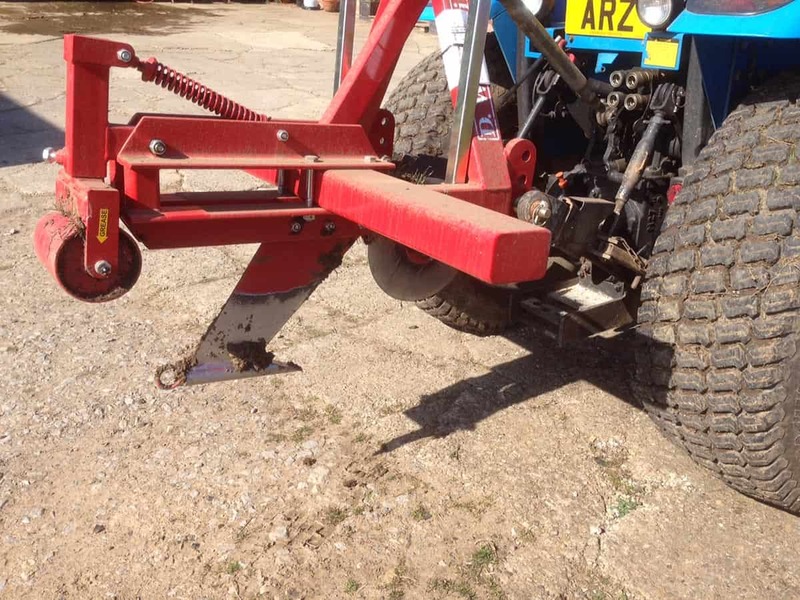 Key to this is using manoeuvrable and powerful 4×4 compact tractors running on turf tyres which travel over the sward rather than compact into it. We have recently added a mole drainer to our range of machinery available. 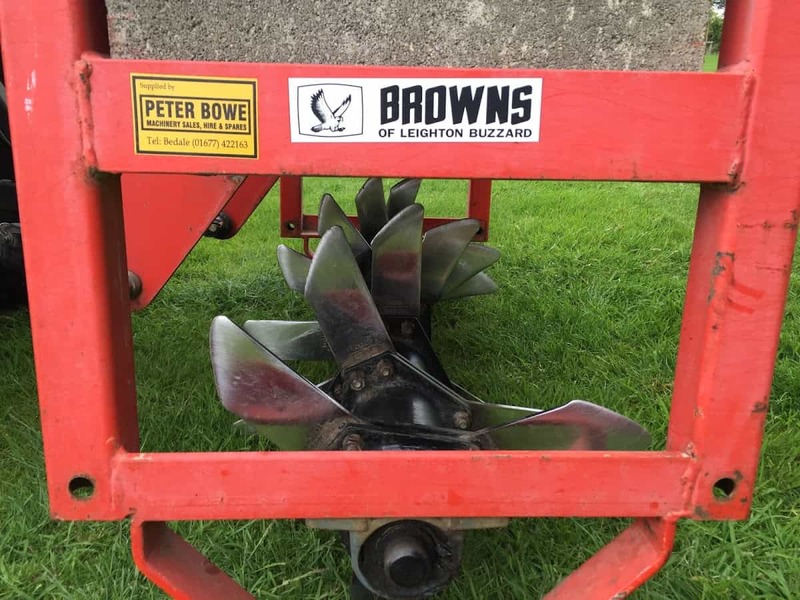 Designed to cut a neat slit through the grass sward using a preliminary slitting disk, it creates a small ‘mole’ tunnel 8-10 inches below the surface which allows water to flow down to and along. The machine then flattens the slightly lifted sides of the slit back down with a sprung rear roller. 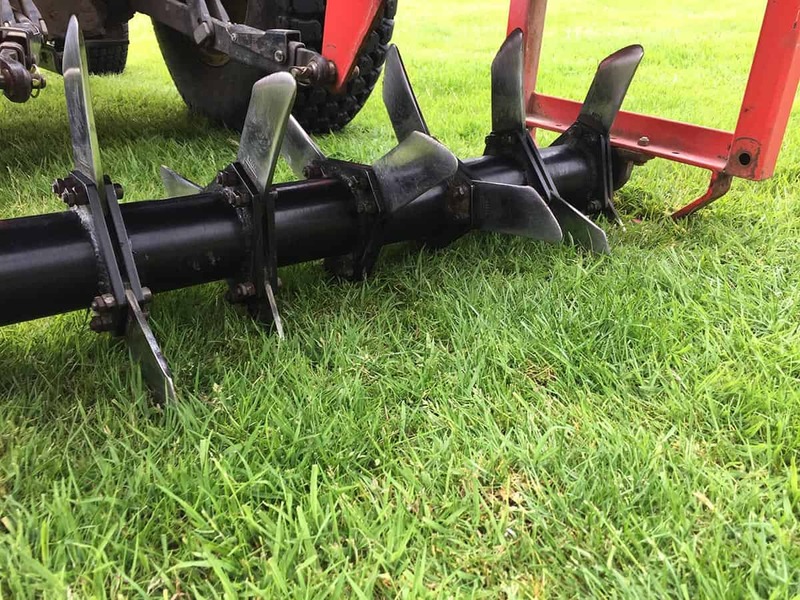 The mole drainer works particularly well on a slight gradient, and when used in conjunction with the aerator, it can provide a cost effective drainage and soil relieving solution. 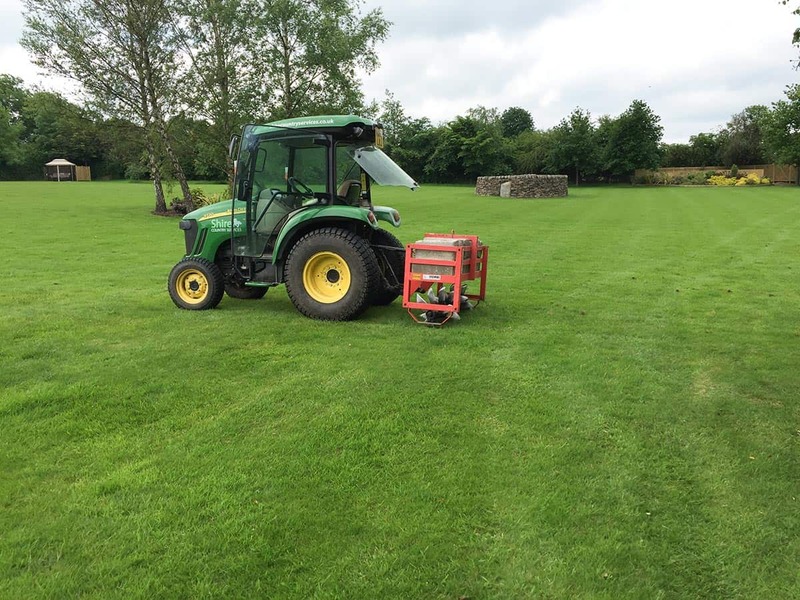 We use manoeuvrable and powerful 4×4 compact tractors running on turf tyres which travel over the sward rather than compacting into it, and our large trailers allow us to carry both machines and tractor to site.